Everyone in life has a story. Some stories are dramatic, some are sorrowful and some are rather normal and ordinary. However, as we go through life, we come to realize that no matter how ordinary we may consider our own story, there is certainly meaning and uniqueness in it, and perhaps a few lessons to be gleaned; lessons which may enlighten, entertain and even inspire some in their own journeys in life and their stories yet to be written. 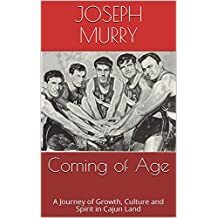 This is my story of how I grew through my college days to become what I had only dreamed I could become and about the wonderful experiences along the way that helped us, my teammates and I, write a rich history of success and accomplishment in the legacy of USL athletics. It is a story of struggle, doubt, courage, tenacity, fate and most importantly love. It is set at a time in the world that the “times they were a changing”. It is a story of transition and growth in society, in cultural values and in our own growth and personal values. It is a story about a group of guys who all landed in that one place at that one time. Some of us chose to be in that setting and some of us were chosen to be in that setting. We were a melting pot with diverse backgrounds and cultures, yet were learned to come together in harmony to make history for ourselves and for USL. We chose USL or somehow USL chose us to do great things, make history, and “Come of Age”. Dr. Joseph H. Murry, Jr. has been the principal of Holy Cross High School in New Orleans, Louisiana since 2004. He has spent a quarter century in education, earning Area II Principal of the Year (1997-98) of Orleans Public Schools as well as High School Principal of the Year for Orleans Parish (2001-02), and was named Principal of the Year by the National Speech and Debate Association (2015). Dr. Murry is a graduate of St. Aloysius High School, New Orleans, earned his B.A. from the University of Southwestern Louisiana (presently ULL), a Masters from Southeastern Louisiana University, and his PhD from the University of New Orleans. While attending USL, he was the Gulf States Conference Champion in the shot put and was the captain of the Ragin’ Cajun Track Team. He also competed as a member of the Weightlifting Team where, as the team’s captain, he set 4 national heavyweight records in route to a national championship. His other weightlifting accolades include: AAU Jr. National Champion 1968 (set 3 national records), AAU Sr. National Champion 1968 (set 2 national records); All-American Weightlifting Team 1968; YMCA National Champion 1972; 1972 Olympic Trials (3rd place Heavyweight). He is a member of the ULL Hall of Fame. 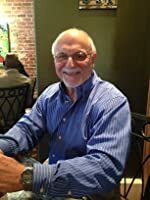 Dr. Murry was an assistant coach in football, Head Tennis and Soccer Coach, and the Athletic Director at Abramson High School, before being promoted to Principal of the New Orleans school in 1995. In addition, he served as an assistant coach at Metairie Park Country Day School and was the Strength Coach and Physical Coordinator for the Buffalo Bills of the National Football League. Dr. Murry has published articles on Strength Training for football back in his coaching days and has presented papers on Moral Leadership, his dissertation topic, at various research conferences. This is his first book as he feels that after these many years, the USL championship story is one that must be told. Dr. Murry plans more works in the future as he reflects on his life experiences in coaching, teaching and school leadership. Be on the lookout for more to come. Please click here for Dr. Murry's Athletic Network profile.